There’s more than one way to catch a fly. Spider webs look like the perfect trap for ensnaring insects, but a spider ‘tree of life’ based on hundreds of genes suggests many spiders jettisoned the web in favour of other ways of capturing prey. 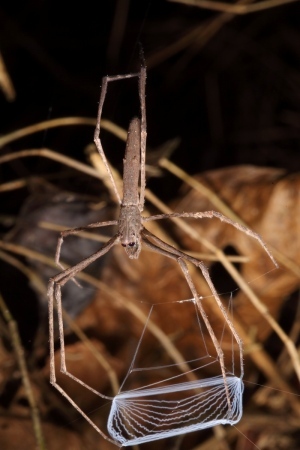 The new studies overturn decades-old dogma, by showing that spiders that weave orb-shaped webs are not all close kin, with some species more related to species that catch prey differently. “They are awesome, spider webs — they’re just not the pinnacle of spider evolution that we thought,” says Jason Bond, an evolutionary biologist at Auburn University in Alabama, whose team determined the evolutionary relationship of spiders by analysing more than 300 genes in 33 families1. The paper and a similar study from an independent team2 are both published this week in Current Biology. Scientists have so far named around 45,000 spider species, grouped into more than 100 families. The spiders that spin orb-shaped webs belong to two main families ­— araneoids, such as garden spiders, and the more obscure deinopoids, which include ogre-faced spiders. The two groups spin webs out of chemically distinct silks — araneoids weave a sticky fibre that is made more efficiently than the dryer webs of deinopoids. But because the groups weave webs similarly, arachnologists have long put the two together on the spider family tree in a group called orbicularians. But now, molecular family trees, made by comparing DNA differences in hundreds of matching genes in numerous spiders, paint a very different picture. Although the findings support many previous ideas about spider family relations — such as the distinctiveness of trapdoor spiders, which build subterranean traps of dirt, silk and plants— orb weaving araeonoids and deinopoids seem to be more distantly related than previously thought. Deinopoid spiders, such as this ogre-faced spider, spin orb webs made from a dry silk. A team led by evolutionary biologist Rosa Fernández of Harvard University in Cambridge, Massachusetts, comes to the same conclusion, using a tree forged from more than 2,000 genes in 12 spider families. Despite their web-weaving behaviour, deinopoids are more closely related to families that include wolf spiders and crab spiders — which tend to sneak up on their prey — than to araneoids, the researchers report. 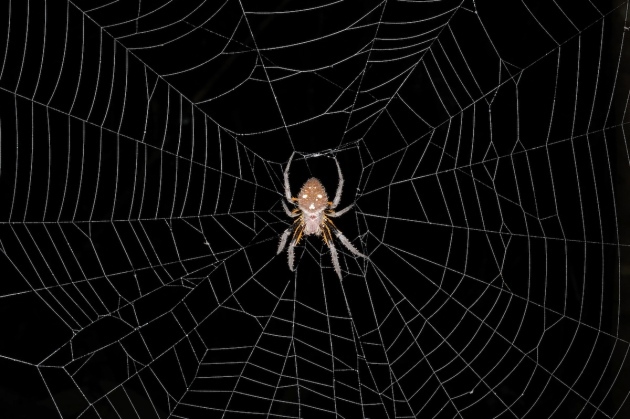 That discovery leaves two possible explanations for the evolution of the spider web. Either it emerged much earlier than scientists thought, in a common ancestor of many spider families, and was later abandoned by some species, as most researchers used to believe. Or, web-spinning and the capacity to spin silk could have evolved multiple times. Fernández says that both theories are viable, and that only genetic data from more spider families will settle the question. Bond, however, favours the idea of a very ancient web-weaving behaviour that was lost over the course of evolution. The suite of behaviours required for web-weaving seem too complicated to have evolved over and over again, he says. On the basis of their findings, Bond and his team suggest that the orb-shaped spider web emerged in the Lower Jurassic (between 187 million and 201 million years ago), and that ancestors of many spiders abandoned web-weaving in favour of other strategies for capturing prey.